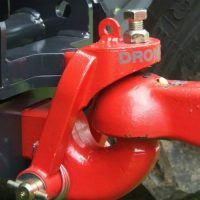 Dromone is a market leader in developing hitching attachments for the agricultural and construction markets. The cutting edge technological hitches allows users to pick up attachments without stepping off from the vehicle. No need to exit tractor for tractor attachment. One person can easily connect without the risk of causing injuries. Quickly connect and disconnect trailed equipment increasing productivity. Having the hitch point closer to the rear axle increases front axle loading thus more traction and reduced slippage. Less slippage means more travel per litre of fuel. Dromone hitches are homologated with tractor manufacturers. Hydraulically operated Push Back Hitch, implement changes made without leaving the cab of the tractor. The Push Back Hitch gives superior visibility of the hook and trailer ring from the cab making implement changes fast and simple. 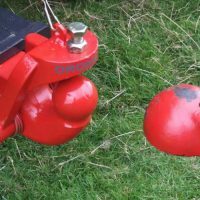 Use of tow hook can increase static load capacity by up to 300% depending on approval obtained. In-cab release mechanism gives fast remote implement change increasing your productivity. The dropdown and pick up function eliminates the need for manually lifting trailers into drawbars. 90% less wear and hitch damage compared to using traditional towing rings, reducing your operating costs. 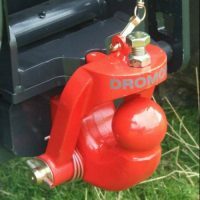 The Dromone Ball and Spoon Coupling offers you the quietest towing experience when compared to conventional hook and ring systems. Hydraulically operated pick up hitch, where implement changes are made without leaving the cab of the tractor. 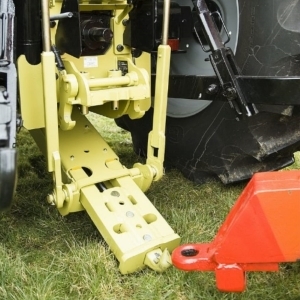 The unit is designed specifically for the forestry industry where 100% ground clearance is required, where the hitch must be mounted above the lowest point on the back end of the tractor. Independent cylinders for attaching implement. Patented latching and locking system for safety, easy operation and maintenance. Interchangeable tow hook, drawbar and ball & spoon. Constructed from carefully selected, high strength wear resistant materials.